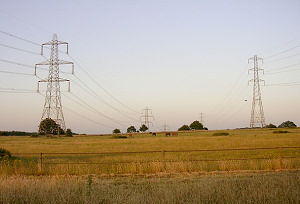 Powerline Communications (PLC) or Broadband over Power Line (BPL) is a little known technology that allows for the transmission of broadband Internet access to be conducted along existing national grid power cables, instead of the telephone network, and into your home or office; It does this by separating out the electricity and internet service into two separate wavelengths. The technology has been trialled multiple times in the UK and was once seen as a potential saviour for the country's rural coverage woes. Unfortunately PLC technology is also notorious for producing high levels of interference (especially at higher frequencies) that can disrupt other services, such as the radio, and often resulted in serious conflicts with the national telecoms regulator. On top of that the cost of deployment and service delivery is also known to be high. 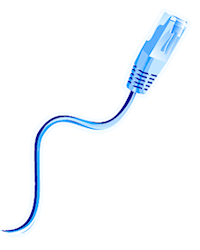 The UK government officially recognised many of these shortcomings during the release of their national broadband strategy, 'Britain's Superfast Broadband Future', at the start of December 2010. So far PLC's limitations have hindered its ability to grow and meant that it has been unable to keep pace with the faster and significantly cheaper broadband solutions being delivered over telephone lines. It's also important not to confuse PLC/BPL with HomePlug (HomePlug AV etc.) or Powerline Ethernet adapters, better known as Power Line Adapters (PLA), which merely convert a buildings existing power cables into a form of extended Local Area Network (LAN); although they do extend from the same fundamental technology. - Potentially exceptional coverage (national electricity grid). - Potentially very fast speeds (one trial runs at 200Mbps). - Regulatory problems due to interference that can disrupt other devices. - Potentially high deployment and service costs.